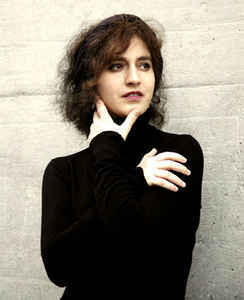 Harpsichord and recorder virtuoso Corina Marti is recognized internationally for her “strikingly superior and expressive” interpretations (Toccata), and “infallible” performances (Diapason). She leads a full life as a soloist, chamber musician and teacher, travelling regularly across Europe, North and South America, the Middle and Far East. Her extensive discography of repertoire ranges from the fourteenth-century istanpitte and intabulations to – and beyond – the chamber music and solo concertos of the High Baroque, and reflects the breadth of her musical interests and technical skills. She has appeared with numerous early music ensembles and orchestras (including Hespèrion XXI, Coro della Radiotelevisione Svizzera Italiana and the Helsinki Baroque Orchestra), and is artistic co-director and founding member of La Morra, an award-winning Late Medieval and Early Renaissance music ensemble which “never fails to keep the listener’s attention alive” (Gramophone). Her ongoing research into aspects of the repertoire and the reconstruction of Late Medieval and Early Renaissance keyboard instruments and recorders has contributed substantially to the present-day revival of these instruments. She teaches the next generation of early music performers at the Schola Cantorum Basiliensis in Basel, Switzerland, and in masterclasses worldwide.